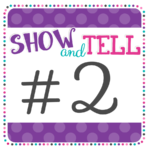 Have you ever come across an amazing teaching idea, but you just couldn’t get it organized enough to use it consistently? Maybe you used it but it didn’t seem to bring you the results you were expecting? 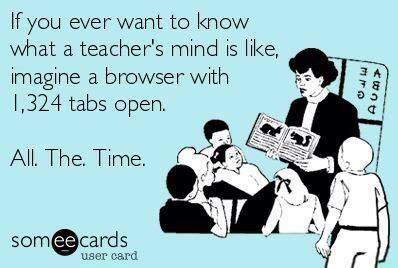 Maybe it was more complicated than you thought… welcome to my first year using Marzano Scales. 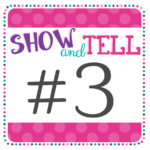 Today I’m sharing 3 hot tips to presenting Marzano scales to students … Visibility, Routine, and Examples… so you can shimmy over the learning curve with ease! 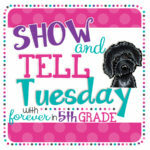 Today I’m linking up with Forever in Fifth Grade to share some great ideas for your new school year! The point of creating scales is so you can present them to your students! 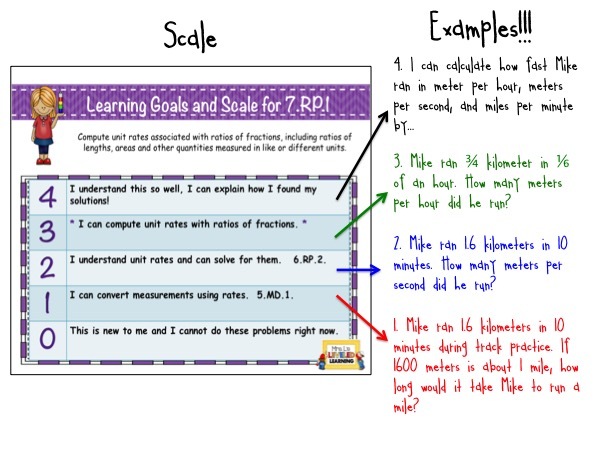 Posting Learning Goals with a scale makes it VISIBLE! Posting scales also creates a VISUAL guide that students can refer to throughout a unit or throughout the year. 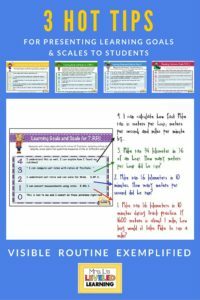 Posted scales give your students access to the curriculum so they can take ownership of their own learning. 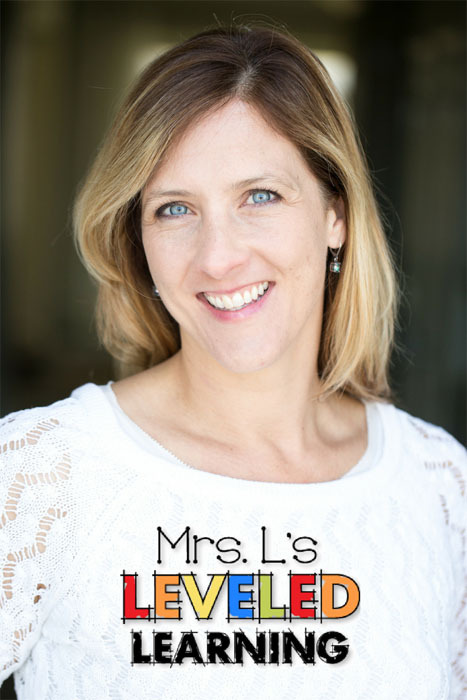 They help you and your students gain and maintain a sense of orientation. It becomes possible for your students to become aware of their progress and set personal goals for themselves.You want to post them in your classroom large enough for your students to see when they need to. (I find that 11 x 8.5 in. is convenient for printing, but sometimes too small if I use it whole-class. When I first introduced scales I liked to use the digital version on the front SMARTboard.) You can post more than one at a time. You can post them in different areas of your room. 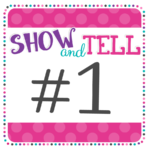 For really difficult goals, or things you may work on for weeks at a time, you may want to post examples for each level next to the Scales so students have an instant reminder of what each level LOOKS like. For goals that you work on all year, such as the ELA Speaking and Listening standards, you may want students to keep their own mini copies in the folder, binder, notebook or journal that they use in class. These types of immediate and easily accessible references teach students to refocus themselves on their goals whenever they forget what to focus on. The next page has a few ideas for you to consider. One of the most important things I have learned is to make things ROUTINE! There are so many things on your mind at any one moment. If scales don’t become a routine, you probably won’t do it consistently. If kids don’t have the opportunity to become proficient using a scale, then it’s not going to be an effective tool for them either. If it’s not part of my routine, I am probably not going to do it! The first time your students see the scale, they will need some in-depth explanation to understand the specific levels. Examples of questions or problems that match each level work well. Since most learning goals or standards are verbal statements, these initial examples will give your students the confidence they need to begin assessing themselves on their level of mastery. For really young students who don’t read well, I like to have visual examples built into the scale. For older students, you can present examples on a digital whiteboard, marker board, or poster paper that can be pulled out periodically when students need further clarification. Below are two samples of explanations I posted for younger and older kids. Kids aren’t used to having so much responsibility for their own learning. Your class will need some time to get used to this new structure and you will need to be patient with yourself! The results will definitely be worth it! I’ve never heard of Marzano scales. Looks interesting. Can you use them in K and 1? 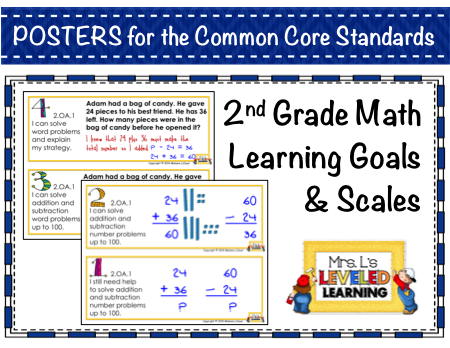 I have some scales created for 1st grade Math and ELA, and am working on 1st grade assessments. You can download free samples of standards through my FREEBIES or STORE links. I may get to K this year if there is enough interest. Thanks for asking! Hi Barb, Yes! The scales are just broken down in a simpler way. 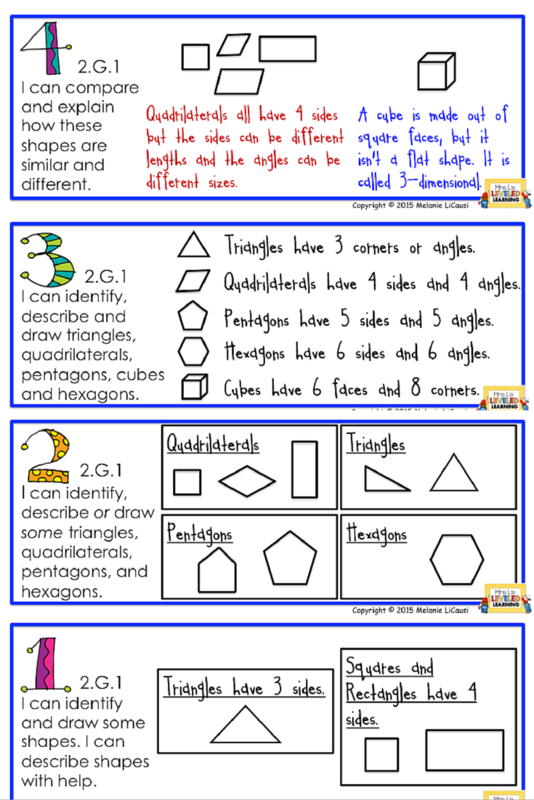 I have some examples of resources for 1st grade and K is coming soon. Click on the FREEBIES tab above to be directed to them. Thanks for your interest! Scales are a powerful tool to use in the classroom, and you did a great job of explaining how to make the best use of them! Thanks for linking up! I will have to share this with my sister as she teaches them in third grade. Thanks for sharing!